KENDRA SMITH, Preferred Properties, Inc.
Kendra Smith is the executive director for Preferred Properties, a non-profit real estate development and property management organization dedicated to individuals with developmental disabilities. 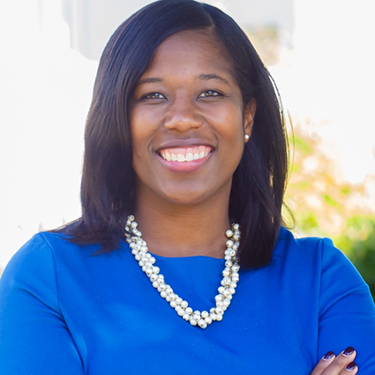 Smith has experiences in real estate development, urban planning, housing policy, and community organizing, previously serving as the senior housing planner for the Chicago Metropolitan Agency for Planning. She holds degrees and certifications from Cleveland State University (CSU); Ohio University (OU); La Universidad Publica de Navarra in Pamplona, Spain; and the Harvard Kennedy School of Government. Locally, she serves on the boards of MLK Kitchen for the Poor, Toledo Design Center, and UpTown Association. She is a member of the Rotary Club of Toledo, serves on the Rotary Disability Committee, and will serve as the co-chair of the Youth Services Committee in the coming year. Smith was a participant in the Center for Nonprofit Resources Executive Leadership Certificate Program and the EPIC Toledo Board Accelerator Series; a presenter at the HUD Region V Convening, the Pathways to Opportunity: A Regional Convening, and more; and a co-author of Fair Housing and Equity Assessment: Metropolitan Chicago.